According to a latest update from K-town, Simbu is planning to complete his pending projects and keen on releasing them one after the other. If the buzz is to be believed, Simbu had talks with his Kettavan director Nandhu and seems to have allotted dates to finish the project sometime soon. 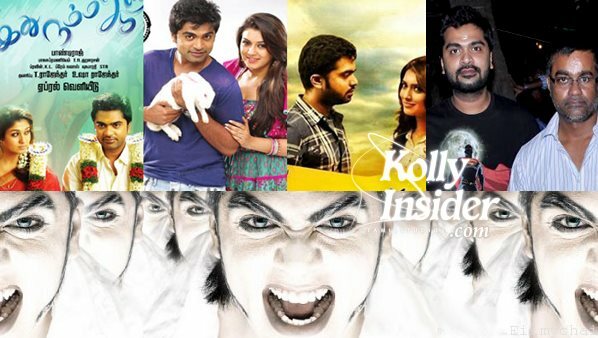 Remember, Simbu's Kettavan was shelved a few years ago after releasing first look posters. Meanwhile, Simbu has called for a press meet at 5 PM today [June 2] to announce Vaalu release date. And STR is juggling between Pandiraj's Idhu Namma Aalu, Gautham Menon's Achcham Enbadhu Madamaiyada and Selvaraghavan's Kaan.